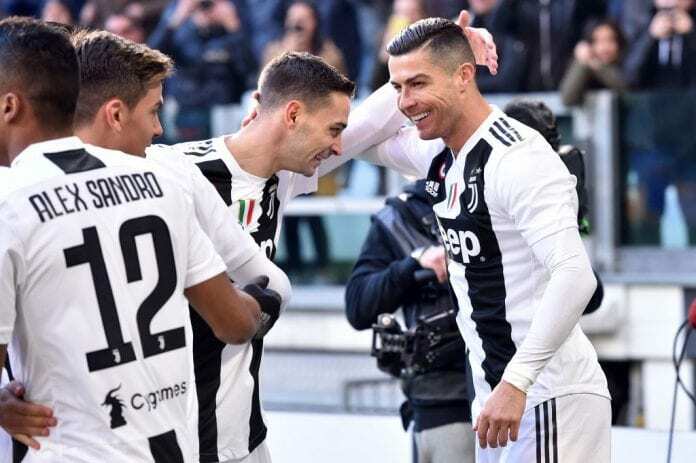 The Bianconeri ended 2018 with a new record of 53 points for the first half of a Serie A season as they continue their bid for an eighth consecutive crown. However, things in Europe haven’t gone as well for Juventus with their last Champions League title coming in 1996. Under manager Massimiliano Allegri, Juventus have twice reached the final of the competition in the last four years only to lose to Barcelona and Real Madrid at the final hurdle. But Boban is convinced the arrival of five-time winner Ronaldo can change that as he adds an extra “15%” to the squad. Although the former Croatia international warns Juventus that they are yet to play the big teams, which he believes will give a clearer picture of their current strength. “I think the sporting aspect was the biggest part of the deal,” said Boban on Football-Italia, while discussing Ronaldo’s €112m transfer from Real. “Ronaldo is Ronaldo, if after that he also brings marketing appeal then that’s just an extra. “I think given what they’ve shown they’re the favourites [for the Champions League], then we have to see how they’ll play against the very big teams. “Obviously with Ronaldo the team is better than last year. It’s difficult to put a figure on it, but he certainly makes them 15 per cent stronger. “He always scores, he’s incredibly consistent and has the knack of being in the right place at the right time. Juventus and Ronaldo will be back in action away to Bologna in the Coppa Italia on January 12.